Gurgaon's picture perfect Skyline - Cafe Pepper Pot - CHOMP! SLURRP! BURP! 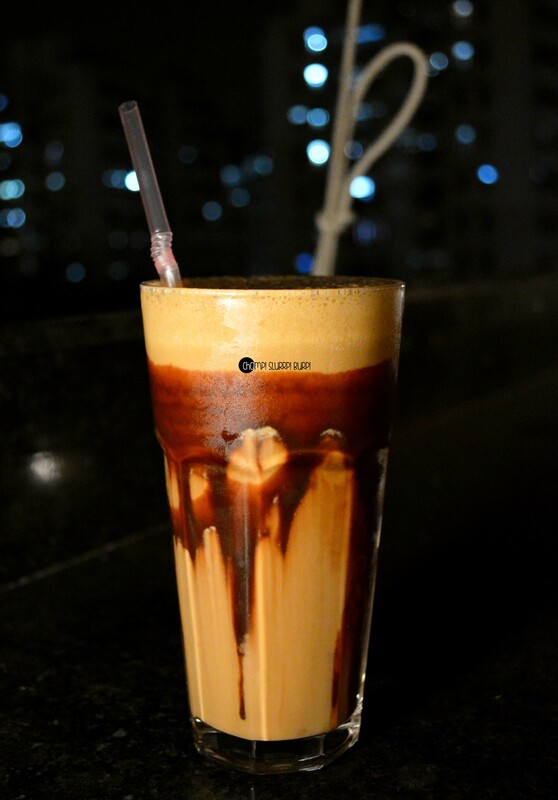 Cafe Pepper Pot is a gorgeous terrace cafe tucked into a mainstream market. Located above a gym, this is the perfect spot for a long conversation, sipping on coffee or grabbing a bite after your workout. The place strikes a chord of laid back nostalgia with fair lights, lamps, greens and a pot-pourri of furniture. We started with chocolate coffee – the coffee should have been a little stronger but boy was it satiating. 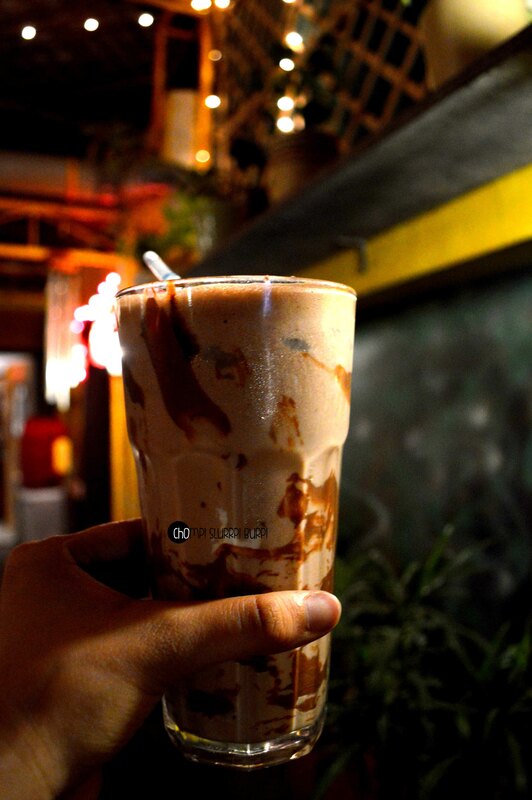 What was even more satiating was the nutella shake – the chocolate shake with suspended nutella, this was amazing with thick nutella and perfect for a sugar rush. 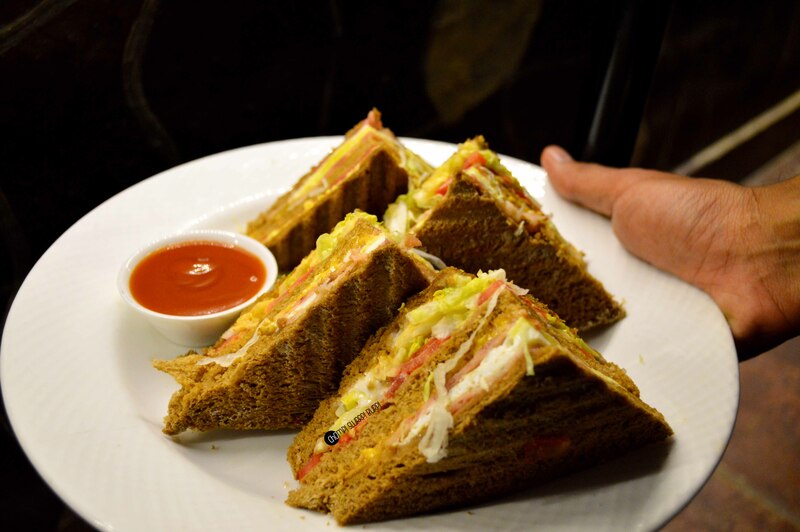 Chicken ham club sandwich – crispy grilled brown bread club sandwich with fried egg and fresh chicken ham, lettuce and tomatoes. The HUGE and wholesome, the sandwich worked was delectable. 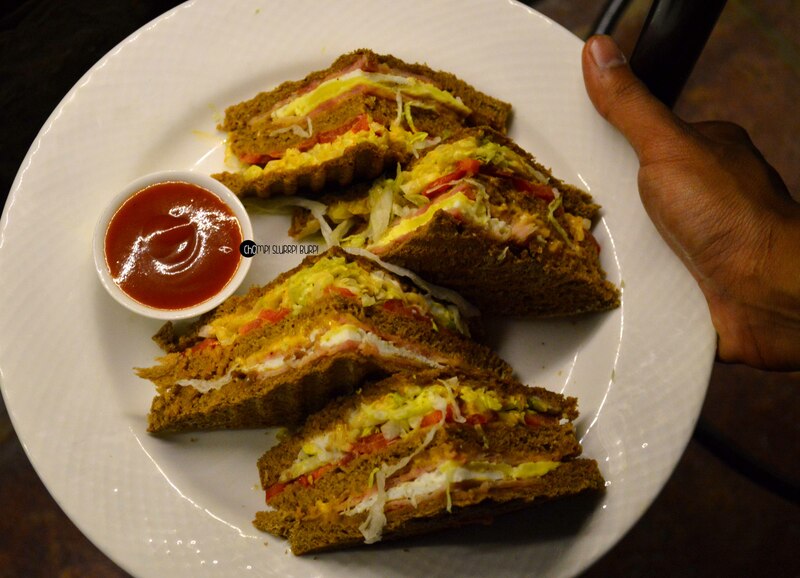 Bun Bhurji – the cafe start operations for breakfast and they have some great eggs and parantha options. 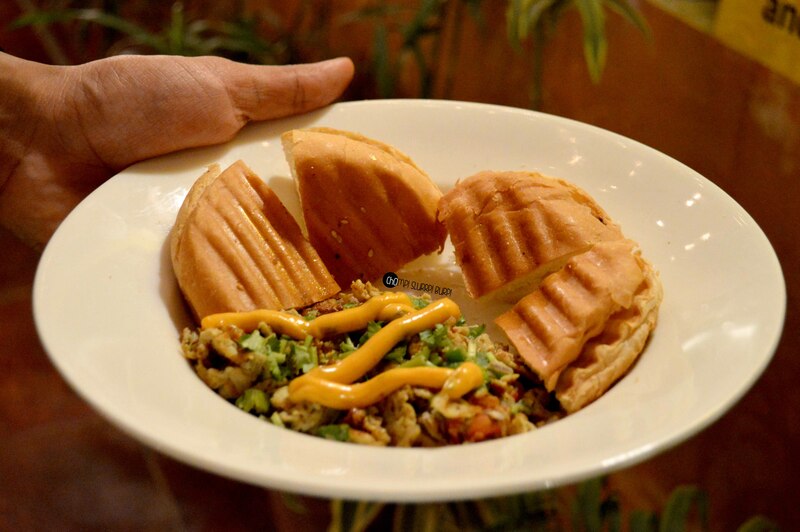 Grilled, quartered pieces of buns and a home style scrambled eggs with masalas. 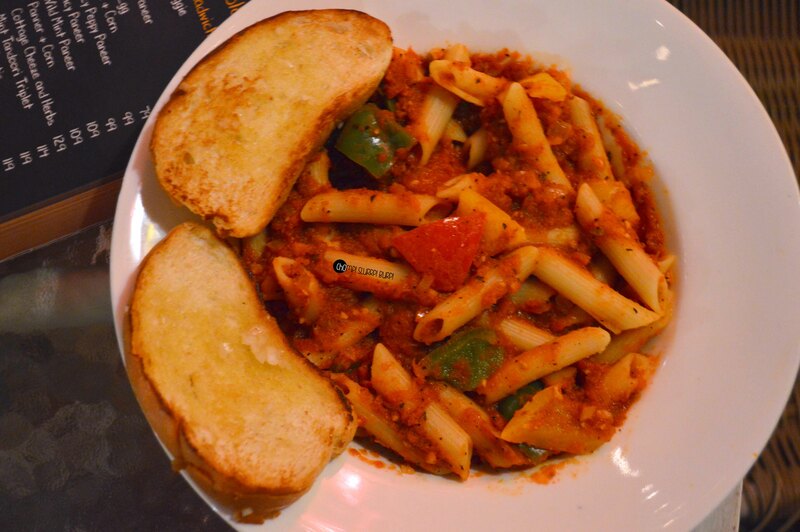 Penne Arabiatta – the pasta was a tad overdone, tossed with veggies, tomato spicy sauce and decent garlic bread. 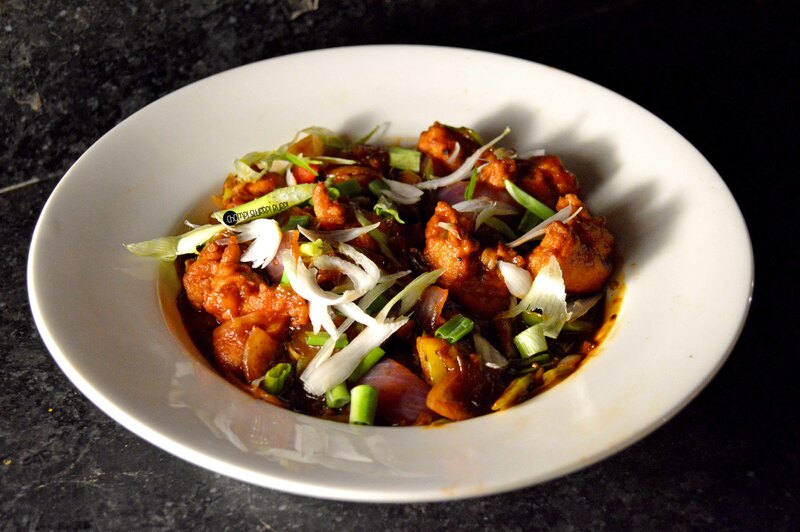 Chilly chicken – juicy, succulent pieces of chicken tossed with bell pepper and a saucy, chilly mix of chicken sprinkled over with spring onions. Oreo pancakes – they had discontinued their pancakes but they have recently started off again and they cannot go amiss. 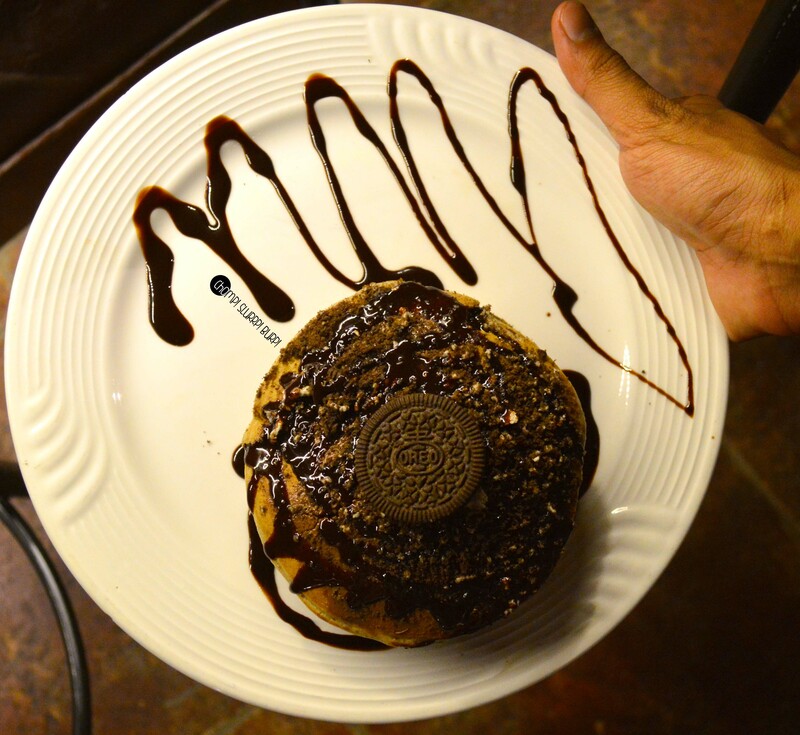 Soft pancakes stuffed with oreo cookie crumble topped with oreos and chocolate sauce. These make for spot on breakfast and dessert alike. What you can’t miss at Pepper Pot Cafe? Their stunning rooftop, oreo pancakes, nutella hake and chicken club sandwich.